1.3. 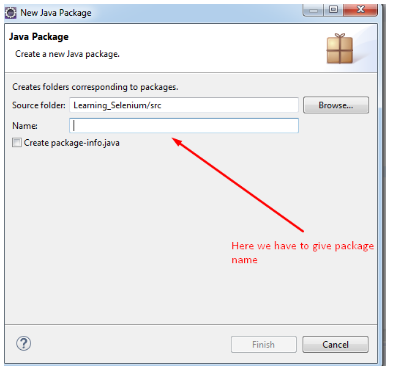 After the java project, now we have to create a Package for our new project. 1.4. After the project setup, now we are going to create the new class. 2.2. After downloading, extract the zip file. 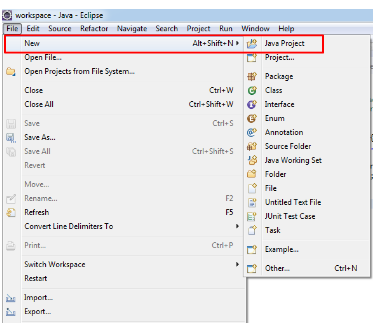 Now the folder contains all the required jar files which would be used inside the eclipse. 2.3. 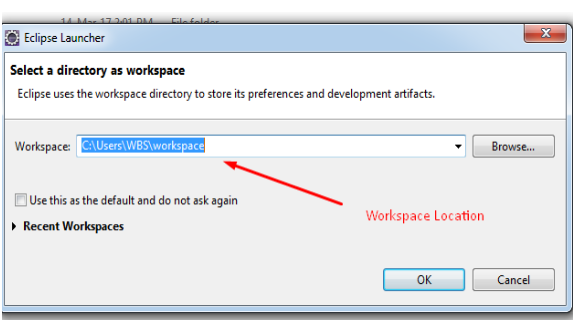 Now, let us start with configuring those jar files into the java project. For this, select the project and Right click on it. Select “Properties” within the listed options. 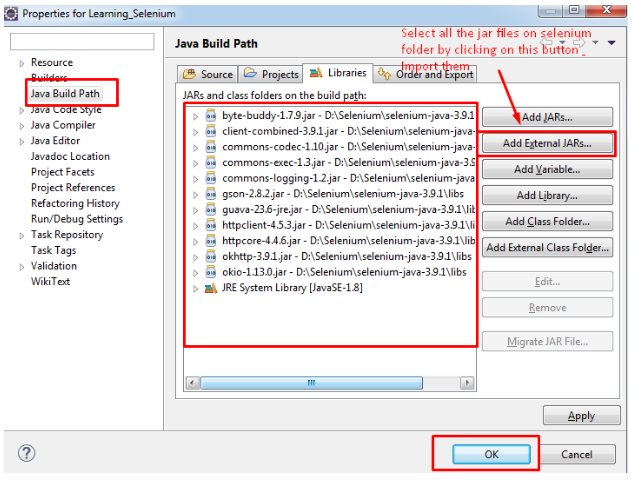 Select “Java Build Path” from the options. 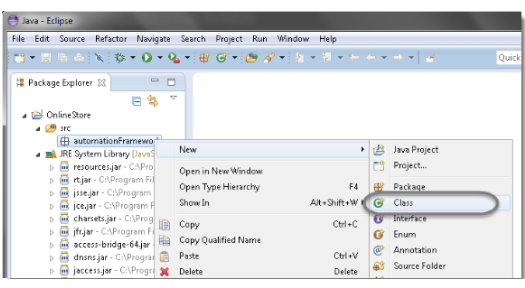 That’s completed configuration of Selenium WebDriver inside eclipse.